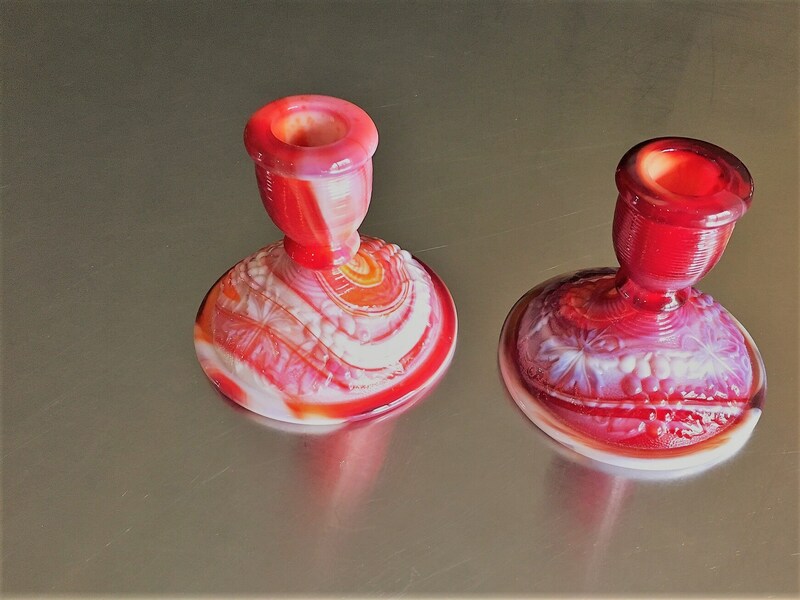 Featured are two beautiful Imperial red/orange slag glass candle holders. 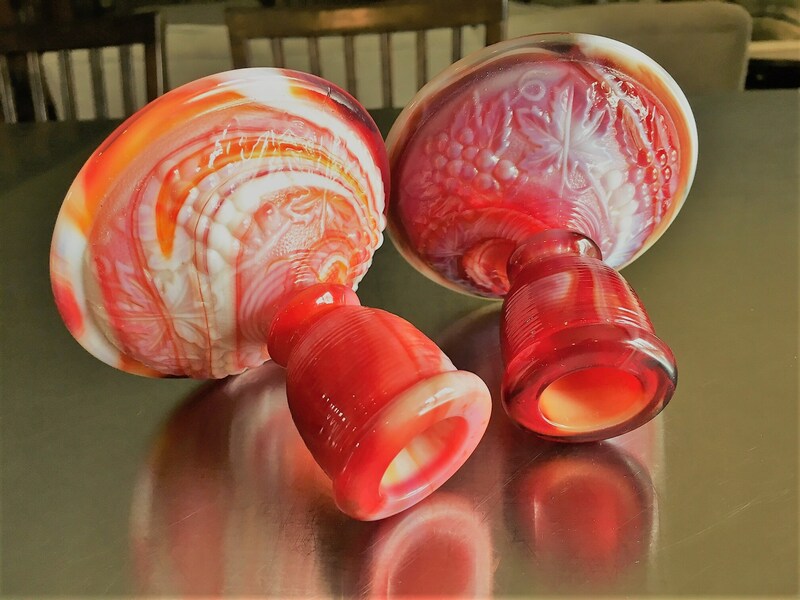 "Slag glass" is a collectors' name for opaque pressed glass with colored streaks, usually white and/or cream. 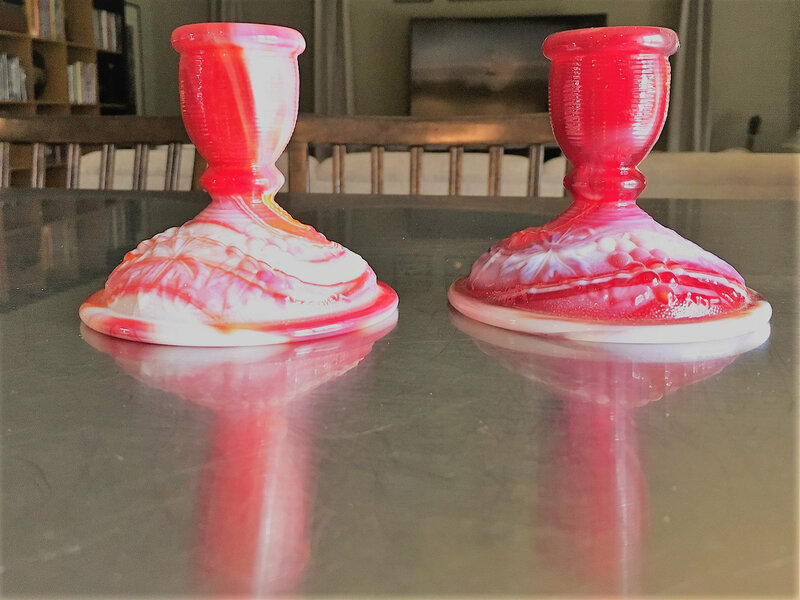 These two pieces measure 3 1/4 inches tall and have a 4 inch diameter base. 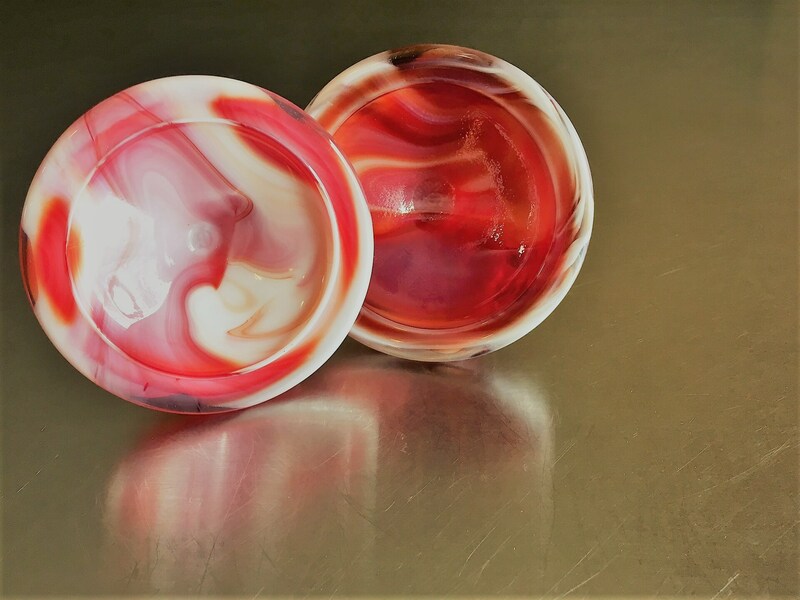 Great piece to add to a glass collection or use to add some pop to your table decor. 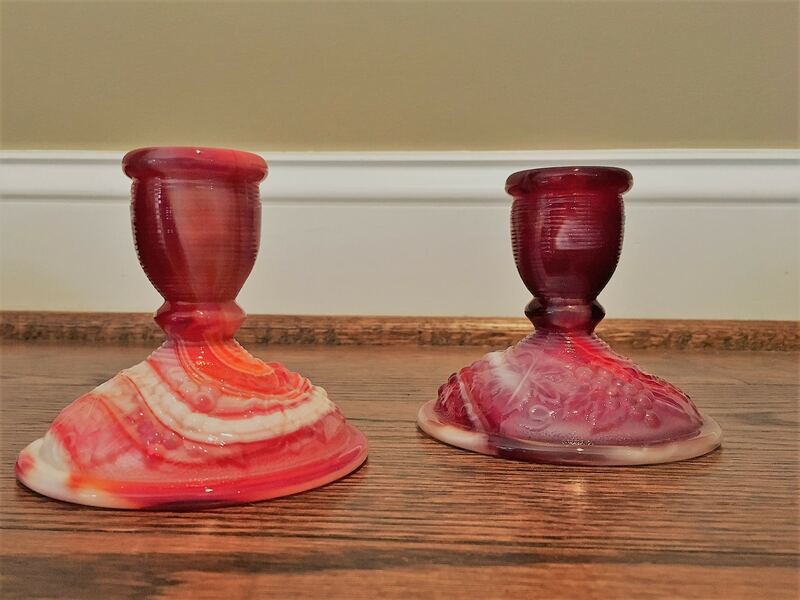 Both feature the Imperial Glass logo on the bottom. 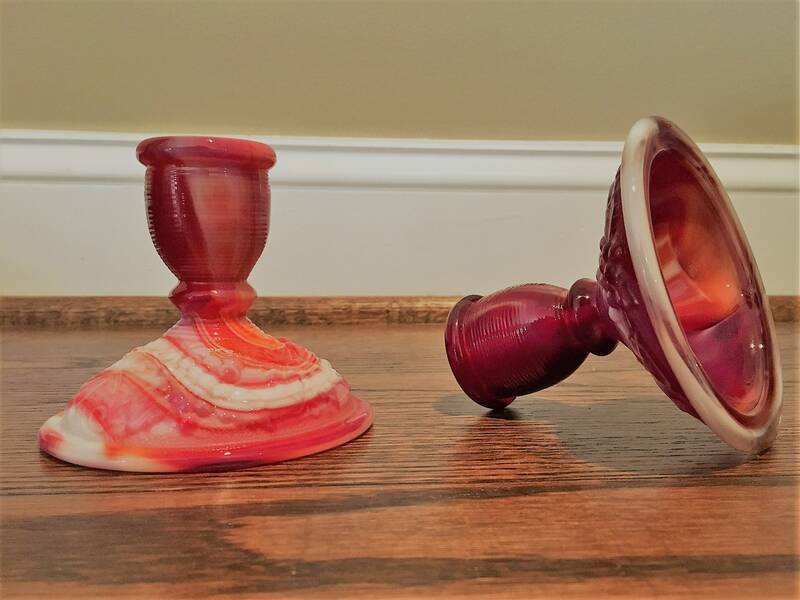 Excellent vintage condition with no chips or cracks.